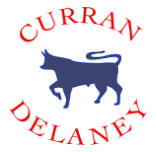 Delaney Estates are delighted to offer you some top tips to increase the value of your home for sale. 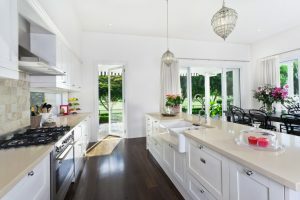 There are two important points to keep in mind when planning home improvements in order to increase the value of your home. The first is not to spend more than you have to. There is little point in improving a house to a position where its desired sale price would be more than 20% higher than the most expensive house in the area. The value of your home will usually be affected by the value of the surrounding properties. The second is to ensure any work carried out is of a high standard. This might not be the time to buy a tool box and try your hand at a kitchen extension! If you do get professional work done on the house, don’t forget to hold onto all receipts as they may be requested by a potential buyer or estate agent. Painting your house prior to selling it will make it more appealing and increase the value of your home. Choose colours which appeal to the wider market and not just your own personal taste. Don’t blow a fortune on having every square inch painted. Instead you could focus on “high-traffic areas” including the kitchen and bathrooms. Pay attention to improving your existing kitchen and bathroom by maybe giving them a facelift, by changing your worktops and cabinet doors in the kitchen or or re-grouting your bathroom tiles. Your home should look better than it has ever done before when it is being viewed. 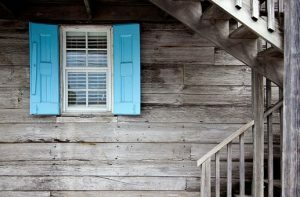 Replacing windows can be costly and you might ask yourself if you will see a full return on your investment. It may be an option to spruce up your existing windows, sometimes a good cleaning can do the job. Extending your property is one of the best ways to increase the value of your home. It might be extra living space, an additional bedroom or for a different use entirely. Buyers quickly recognise a property with more floor area and it is evident that an open floor plan with flexible living space is a highly sought after feature in the current market. Whatever the plan, always consider the design element to make sure the extension fits in with your existing space. Conservatories are a very popular and usually less expensive way to add extra living space to your home. If you take heating & blinds into consideration a conservatory can be a suitable space all year round, as opposed to just a Summer Living Space. Garages that are situated directly beside a property can prove to be great extensions and will definitely increase the value of your home, provided you are not taking valuable storage space. If you are converting your garage an additional storage space e.g. a shed in the garden could provide the extra storage space you are taking away with the extension. Sometimes you only get one chance to make a good first impression, and while you may be focusing on beautifying your indoors, the exterior of your property is just as important. Freshly painting the exterior of your home is worthwhile and you should ensure your front door is looking clean and welcoming. 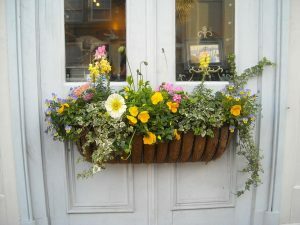 You should aim at setting your property apart from your neighbours giving it a massive boost in terms of sell-ability, with simple solutions like adding flower boxes, plant pots, raised garden beds, garden lighting and furniture. Finally, take the time to research and plan improvements that will best suit your budget and your house while also taking into account your target market. With this approach, you should be well on your way to adding value to your home and hopefully get the return on investment you are expecting – best of luck!